On our recent Italian holiday my mother-in-law brought along a box of home made flapjacks, which were a huge hit with the kids. 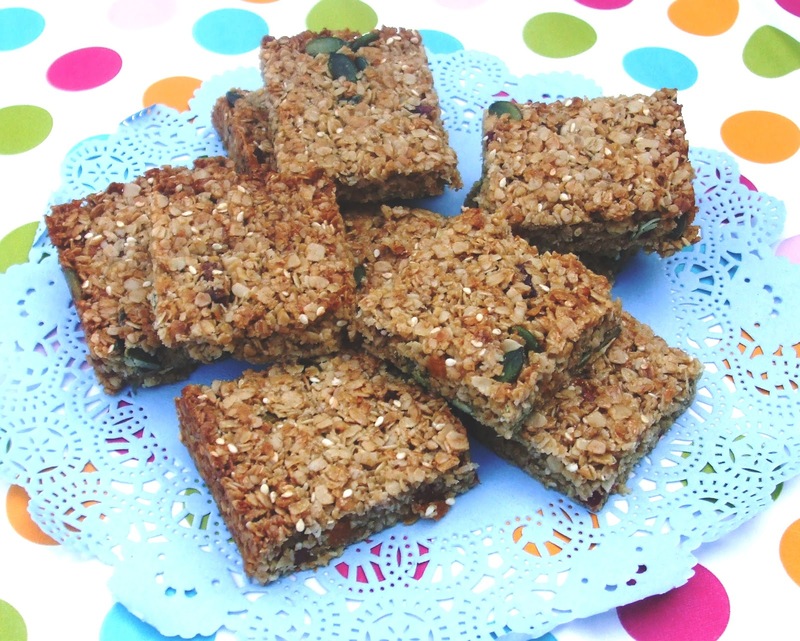 Flapjacks are perfect for picnics so given that the sun has been out in full force this week I thought it a good time to make some. I have adapted Jane’s recipe a little, but not so much that the kids would object. Melt the butter, golden syrup, honey and sugar together in a saucepan. Stir in all the remaining ingredients and press into a lined tin (24 x 18cm or 21cm square). Bake in a fan oven at 170 degrees for 20-25 minutes. Leave to cool in the tin before slicing. 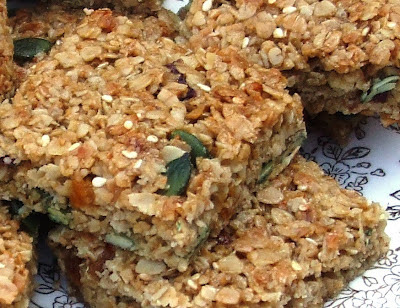 Despite the seeds and fruit I can’t claim that these are healthy, but they are delicious, and this is such an easy recipe that it really is worth a go. I might try some with coconut next time, and perhaps some fresh blueberries. I’m sending these over to Karen (Lavender and Lovage) and Kate (What Kate Baked) for their Teatime Treats challenge as these would be great for a cake stall at a summer fete. Yes, these would be really good on a picnic – so why do I never think of them if I prepare a picnic? Dried apricots are so good in flapjacks.